Every month, there’s one fashion title that completely takes our fancy and this month, the honor goes to T: The New York Times Style Magazine. 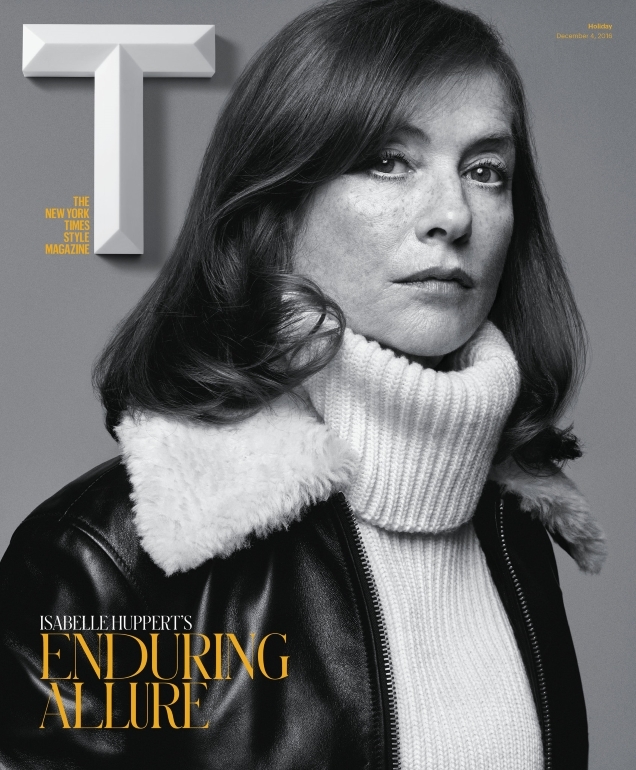 Joining W Magazine by shunning the younger generation of cover stars, T serves Isabelle Huppert as its cover subject for Holiday 2016. 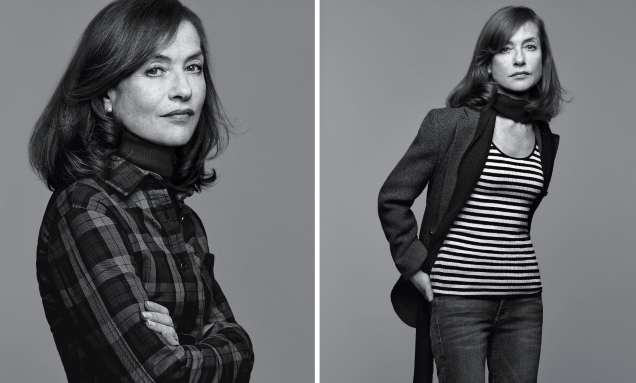 Photographed by Craig McDean, the French actress shows how it’s done at age 63 in a series of classic black and white portraits. The cover was an instant success on our forums. “Queen Isabelle styled by Marie-Amelié Sauvé, just like in the Balenciaga years – I’m in heaven! A must-buy for me. She is so charismatic, a real queen!” rejoiced a delighted Lola701. “A real queen indeed! Amazing cover star and cover. I wish Vogue Paris would take note. It still baffles me that she never got a French Vogue cover. She, McDean and Sauvé make a perfect trio. The portraits are so beautiful even though it’s a bit funny that Marie-Amelié styled her in quite a young version of her. There’s a slightly late 70s feeling, like an homage to her early Claude Chabrol years but it works really well and it’s so effortlessly chic,” echoed Wolkfolk. However, the classic style of portrait photography didn’t appeal to everyone. “She deserves a far superior shoot than this. Looks so mundane like a mum getting ready to pick up her kids from school,” Phuel immediately disapproved. “This cover and images are so weak. Not a fan of it at all, too basic. And they’ve retouched her much,” Benn98 critiqued. It is indeed wonderful to see older women making the rounds on fashion magazines lately. Join the conversation here.